To say that Americans love their pets may be an understatement. Often times, pets are vital parts of their human family. For this reason, pet owners seek to do everything they can to keep their pets safe and allow them to have the healthiest and longest life possible. Despite such care and concern for pets, it is not uncommon for a well-meaning pet lover to put his or her pet in the car without giving it much thought. It is critical to understand that driving around with an unrestrained animal puts that pet in grave danger. If you are involved in a car accident with your pet in the vehicle – unless the animal is properly restrained in some safe manner – the pet will likely be projected from the vehicle in the collision. Pet carrier: This type of restraint is best for smaller animals, including those that weigh 15 pounds or less. A pet carrier is intentionally a small container with a hard structure that is purposed to provide a safe environment for the animal in the event of a car crash. An owner should be sure to include plenty of padding as a buffer in the event of an accident. Of note, the pet carrier should be strapped in the vehicle with a seatbelt at all times during travel. Booster seats: A second option for smaller pets is a booster seat, which provides an environment similar to a nest that makes smaller animals feel safe. Another benefit of a booster seat is that the animal is elevated so he or she is able to look out the window during travel. When using a booster seat, it should also be combined with a pet harness in order to ensure the animal stays strapped in and safe. Pet harness: Pets that are larger than the 15-pound weight limit and/or can not fit inside of a pet carrier should be connected to your vehicle’s seat belt. Pet harnesses are designed to go around the shoulders and chest of the animal, providing safety and security during travel without potentially choking the animal should an accident occur. Additionally, the design of a pet harness is purposed to spread the restraint of the seatbelt across a wider area so that the animal is less likely to be hurt by the harness should a collision occur. Pet barrier: When an animal (typically a dog) is too big to be put into a harness, a pet barrier should be used instead in an effort to confine the animal to the back seat of the vehicle. An owner has several options regarding barriers. Nonetheless, mesh barriers are not ideal despite being common because they are not crash proof and do not offer protection in the event of a crash. Pet crate: Similar to a pet carrier option but for larger animals, pet crates are sturdy containers that should be the right size for the animal. In short, the animal should be able to move around in the crate but not have so much room that if the car crashes he or she goes flying across the crate because it is jolted in the crash. Crates can be made of various materials including metal or crash-tested safety material. 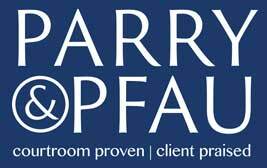 If you or someone you know has been involved in a Nevada car accident with his or her pet in the vehicle at the time of the crash, contact the experienced attorneys at Parry & Pfau. With years of experience fighting for the injured across the state of Nevada, these skilled attorneys will fight for the compensation you deserve. Newer PostIs it Legal to Drive with Your Pet in Your Car? Older PostIs it Legal to Make Prank Calls?